Ubisoft announced that Assassin’s Creed III Remastered, developed by Ubisoft Barcelona, will launch March 29th on the PlayStation 4, Xbox One and Windows PC. Assassin’s Creed III Remastered can be pre-ordered for PlayStation 4 and Xbox One as a stand-alone game starting today, and is also part of the Assassin’s Creed Odyssey Season Pass. 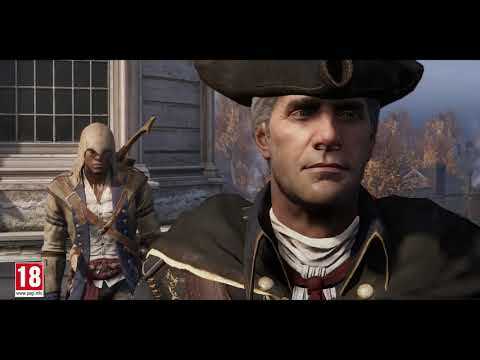 Assassin’s Creed III Liberation Remastered: Follow Aveline’s story as she battles Spanish forces in the American south to win freedom for her land and people. A woman of conviction, Aveline fights for freedom in 18th century New Orleans, a city on the brink of a rebellion as the Spanish Empire imposes its new rule. Embark on an epic journey that will take her from the crowded streets of New Orleans to voodoo-haunted swamps and ancient Mayan ruins.